[Park Record] The Park City Police Department last week received at least two reports of bicyclists using the skate park at City Park, something that is an ongoing issue at the facility. On Wednesday, June 5 at 2:13 p.m., a police officer warned a bicyclist against using the skate park. At 4:54 p.m. the day before, meanwhile, two bicyclists were seen in the skate park. An officer informed them of the rules prohibiting bicycles. 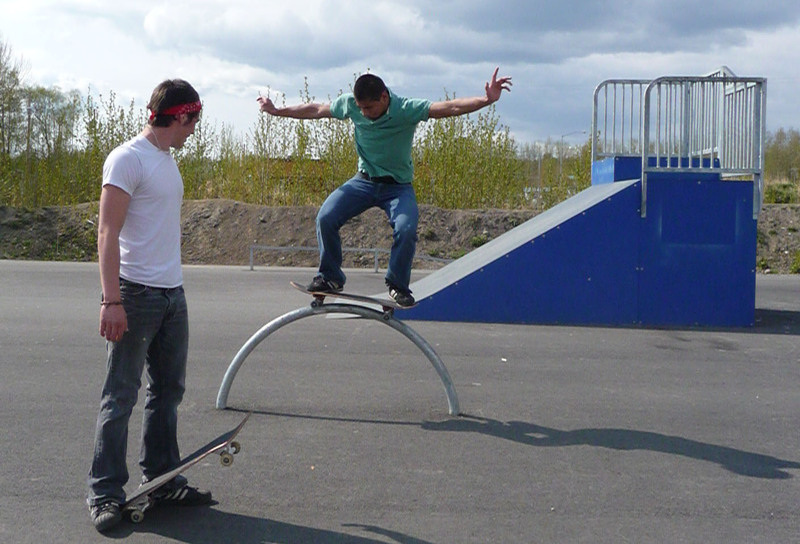 Bicyclists are occasionally seen in the skate park, which is designed for skateboarders and inline skaters. Bicycling is prohibited at the facility. I know that a couple of bicyclists deciding to ride around in a skate park doesn’t seem like a huge deal, but I’ve decided to blog it anyway and I’ll tell you why. On the other hand if some lawless, spandex-wearing Lance Armstrong-wannabe decides to ramp his Schwinn off the halfpipe and brain himself on the asphalt, who am I to get in his way? PS. Hey skateboarders, these bike dicks are trying to push in on your turf. You’re not just gonna let that stand, are you bro? This entry was posted in Criminals and tagged bicycle, bicyclist, bike, biker, biking, convict scum, cycling, cyclist, idiots, savages, stupid twats, vagabonds. Bookmark the permalink.